My Vixen SP mount came in. The condition on this particular one is quite good, I would say "excellent" but short of "near mint". There is one glaring issue that was not disclosed in the sale, and that is some backlash in the RA axis. Not a lot, but noticeable. The Dec axis is smooth as silk. But the RA knob needs to be turned some before the RA gear "kicks in". I hope this is an easy fix (or relatively so). There is a small cover plate of some sort missing at the base (I think) and my gut tells me that there was an RA drive on this mount at one time and somebody tried to manually slew against the gear without the clutch. Now I have slack. Maybe I am wrong, but that's what it feels like. Other than that, it's a nice looking and well-built mount. 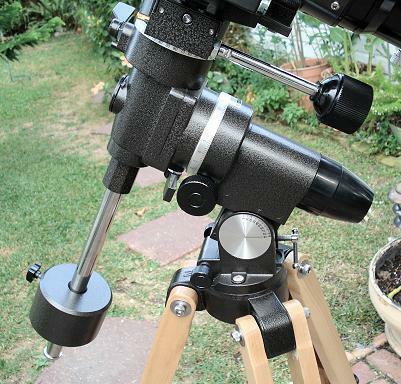 The setting circles are much nicer than the Orion AstroView and Towa EQ-2 mounts I have owned. 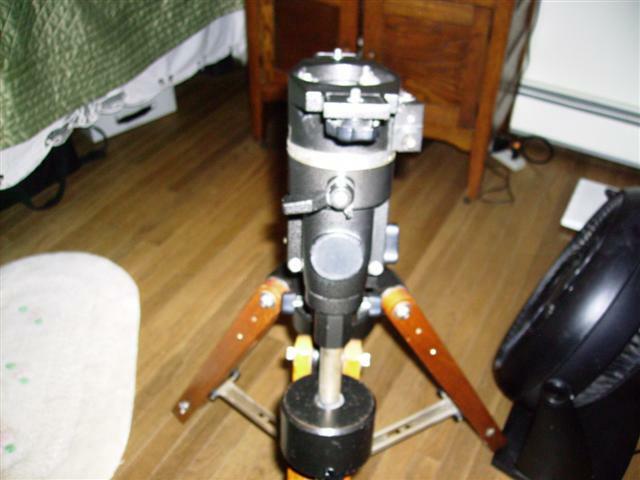 The polar scope is nice, with a "big dipper" reticle and it also has the illuminator. Mike I can take photos of my SP when I get back to NJ later tonight. Mine is missing some items also maybe we can figure it out. 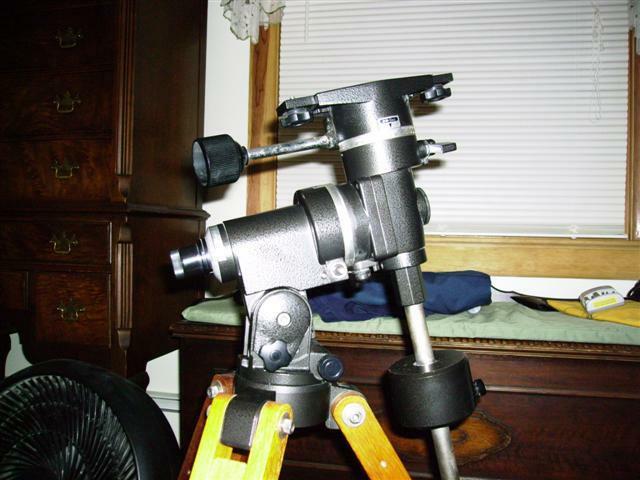 I just tweaked the balance of my scope and the counterweights on the RA axis and now it is moving more smoothly. There is still just a hint of "hesitation" when first turning the knob, but after that it is entirely smooth and stops positively. So I am happy now. It's for visual use, so a tiny error is no big deal. (I'll try to get some photos of it tonight) - I look forward to seeing your's so we can compare. I also have a photocopy of the English manual and an original German-language manual for the mount. I didn't realize until reading the manual that this mount can be outfitted with a SkySensor if it has dual drives installed. 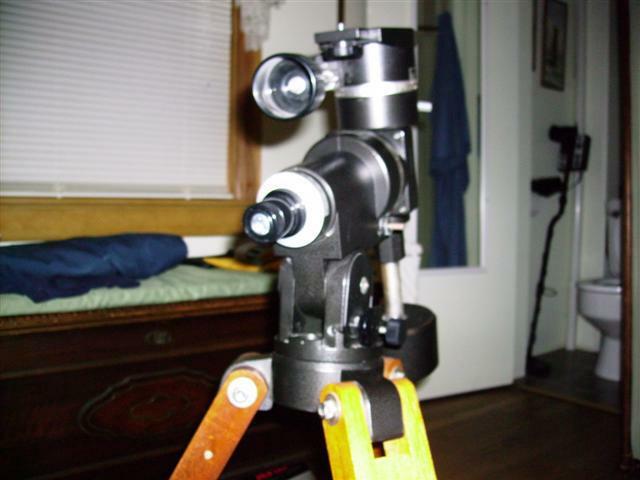 I had some slack in my SP mount and I recall there are some adjustments that allow you to tighten it up. It wasn't too much work and it got very tight afterwards. It was like 10yrs ago so my memory is a bit unclear as to how to do it but maybe someone else has one handy. How much of a job am I looking at to disassemble the RA axis and get at the gear to inspect, clean it up, and regrease? I think I have a bunch of spare parts if (notice the if) we're talking about the same mount. You shouldn't have problems taking it apart. Just take a few pictures as you go. I've taken 2 down completely with the exception of one of the shafts is pressed in (which doesn't need to be removed anyway). 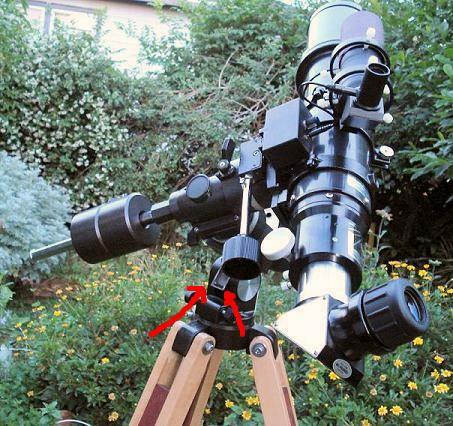 I need the screw that goes into the back of the mount under the polar scope. in pic #1 lower right hole above the base. it has a rod that runs through the end of the screw as a tightener. 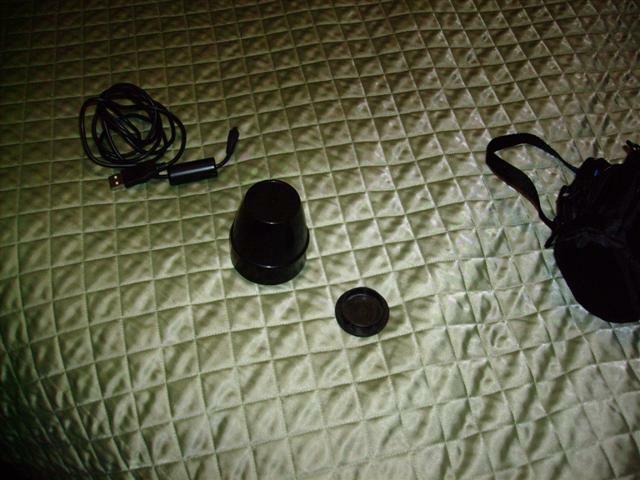 Also a side knob like the one in pic #4. I will pay whatever for the 2 if you have them. 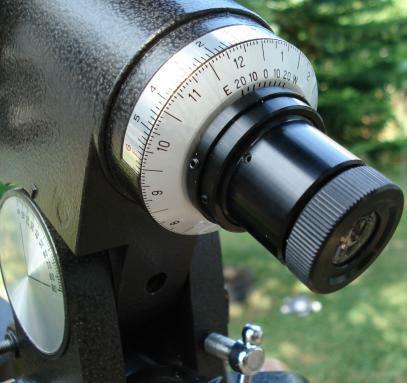 I think mike is missing a cap maybe like the ones in pic 5 that covers the polar scope. 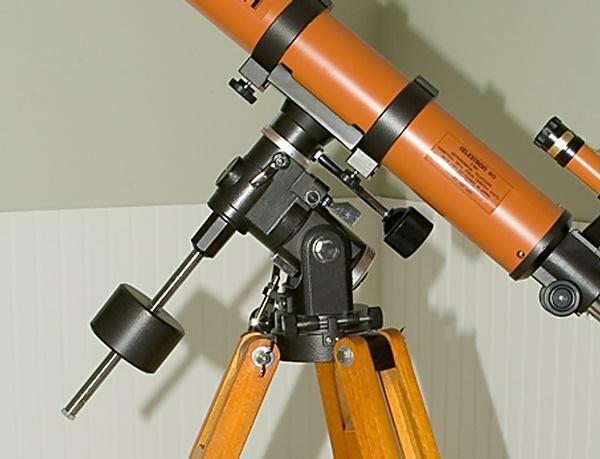 the pic above on your old celestron looks different. Here is the only pic of mine that I have at the moment. It is nearly complete. 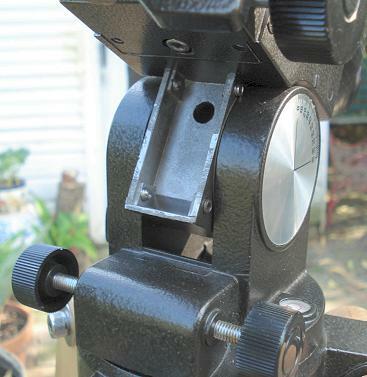 The only thing missing is a metal cover plate near the bottom of the mount head. You can't see it in this photo. I'll get some better shots tomorrow. The two crude red arrows point to the area (looks shiny in the photo) where a cover plate is missing. I think "we" are talking about different mounts. 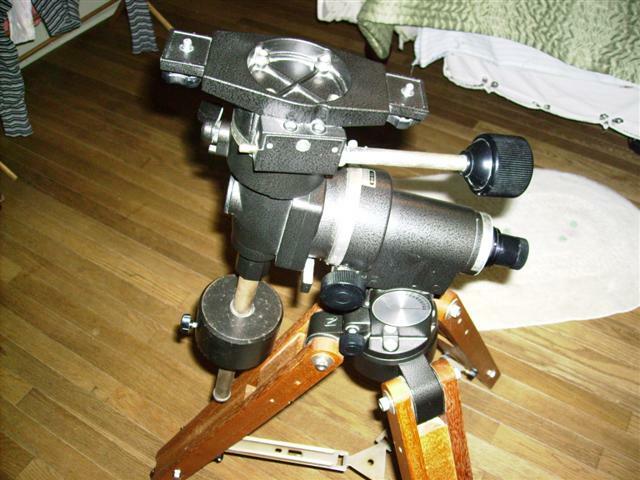 yes, wow do you still have that old celestron scope thats the 80mm isnt it. Sure do, and yes it's the C80. 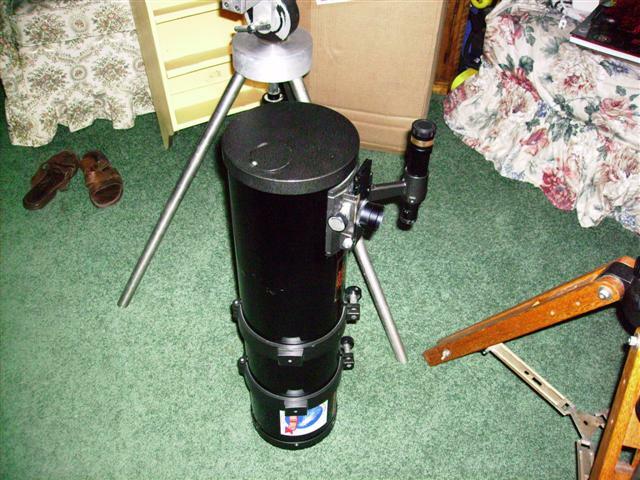 I have the SP-C102 too in mint condition and both are 100% complete, the eyepieces, eyepiece box, etc., including manuals. A fine mount. I prefer a flex cable on the declination as it places the control furthr to the rear. I use the shaft control on the RA on the other side of the knob. This gives a slowmo contol on both sides. The shaft must be removed however when the mount points high on that side. Very satisfied with this mount and I've used it with various tube assemblies. Unless I am mistaken, the mount in James' photo is a Vixen Polaris. The one I am referring to is the Super Polaris, the successor to the Polaris. Mine looks a little different from the one supporting James' orange tube scope. The weather is forecasting rain tonight, so I'm not sure if I am setting up for tonight. If I do, I'll snap a better photo of mine. The two are the mount from each side. The third is of the polar scope assembly and the last photo is the area where I think there is a cover plate missing. It's right above the latitude adjustment bolts at the base of the mount head. You're right. You have the Super Polaris just like mine. 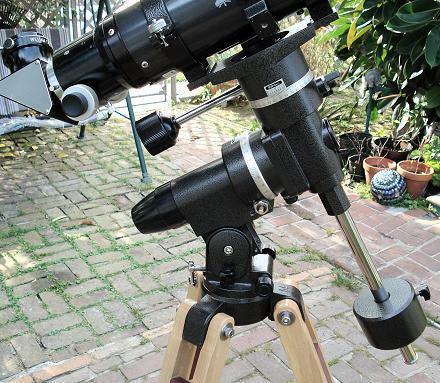 It's an improved version of the original Polaris which is a fine mount too. I have the electric drives on both axes and they work beautifully. It's a keeper for moderate sized scopes. Is there a missing cover plate here?